UsedFurnitureSingapore.net is a local resource site for people who are looking to buy and sell second hand furniture. Besides buying and selling furniture, you’ll also find many helpful guides about handling pre-owned furniture, such as repairing, disposing, moving, and even donating. You’ll find everything you need to know about second hand furniture on UsedFurnitureSingapore.net. UsedFurnitureSingapore.net was first established in August 2012, and it has since grown into the foremost local website dedicated to second hand furniture. Every month, many environmentally conscious people visit UsedFurnitureSingapore.net to find places to purchase pre-owned furniture, sell their used furniture to dealers, discover non profit organisations to donate their items to, and much more. UsedFurnitureSingapore.net has the most extensive lists of businesses dealing with second hand furniture. Visitors will find helpful and unbiased information on the website; all of our write-ups are purely editorial, and if it’s an advertorial, it would be explicitly stated as such. 1. Help our users make the best decisions with regards to pre-owned furniture. 2. Provide a robust platform where users can easily connect with businesses dealing with second hand furniture. 3. Help our users learn more about used furniture, and discover new and different ways of handling and dealing with these items. 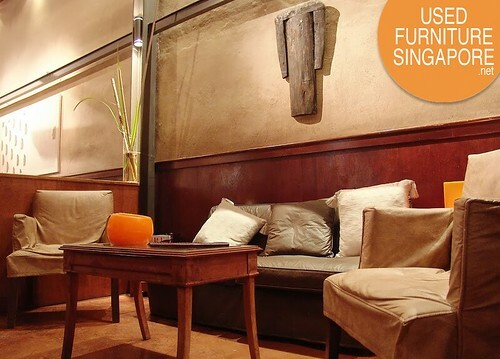 UsedFurnitureSingapore.net is operated by a small team of internet entrepreneurs who are passionate about using the web to empower people and improve their quality of life. When they’re not working on UsedFurnitureSingapore.net, the team members spend their time looking for new and exciting online projects to be involved in.